Welcome to November's newsletter. October was a busy month culminating in our last Wednesday night of the month falling on Halloween. Keeping with our mantra of "making fitness fun" our bootcamps had a spooky themed workout at Gosport and Portchester bootcampers went to the effort of dressing up. At this time of year it can be hard to motivate yourself to get out the door and come along to bootcamp especially when it's cold and dark. I get frustrated when people have put in all the effort and hard work between May and September and then drift away as soon as the colder weather sets in. It only takes 7 to 14 days to start losing your aerobic fitness and what is lost initially is mostly the gains you've made over the last few months. After three months you will have lost 70% of any adaptations gained by regular exercise. So if you stop exercising in November, December and January then come February you will be pretty much back to square one. 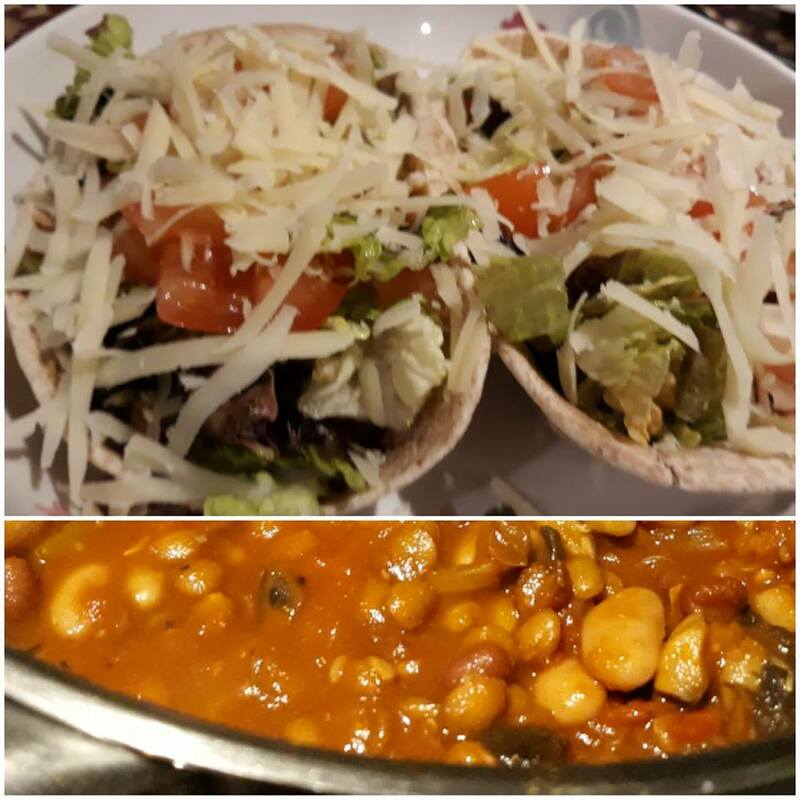 This month I set the bootcampers a challenge to post at least one recipe between them everyday in the private Facebook group for two weeks. This was a great way to get new ideas for healthy meals and snacks. 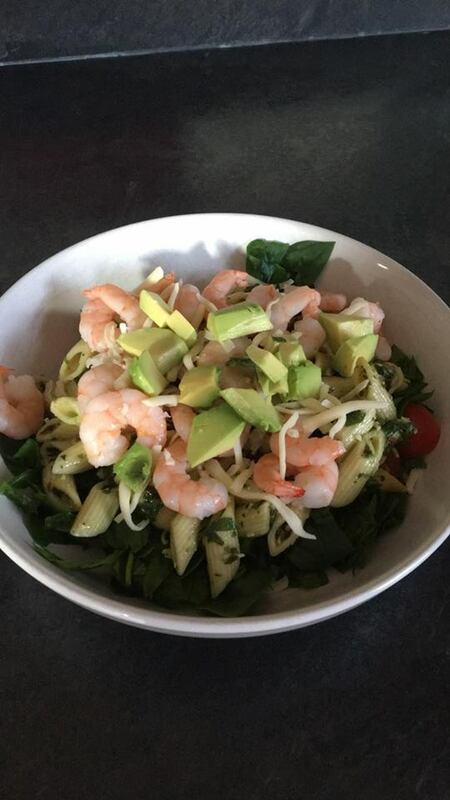 Here is Terasa Magee's contribution who posted her pesto pasta with prawns, tomatoes, spinach, tomatoes avocado and mozarella. A great post workout meal with a good balance of carbs, protein and healthy fats. If you don't like prawns you can always replace them with chicken. We had a few vegetarain recipes too. This one was from Sophie Judge for Vegan/Vegetarian tacos. Add 1tsp of each cumin, paprika, garlic powder and chilli powder. 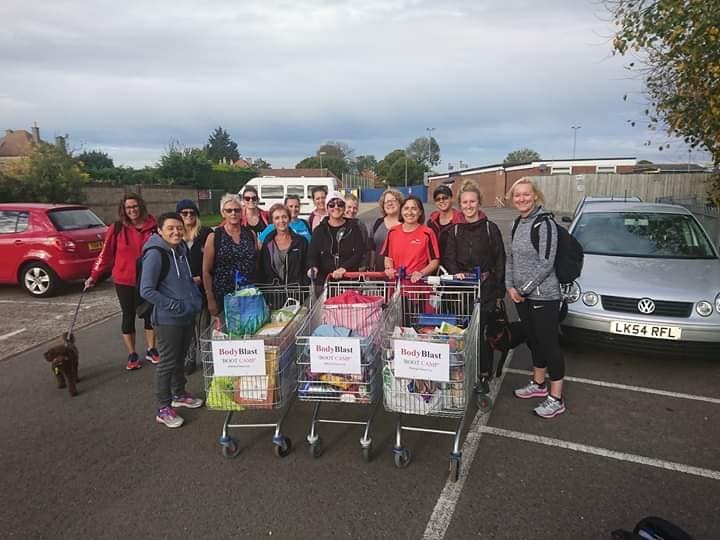 On Saturday 13th October 16 ladies walked 10 miles pushing 3 trolleys laden with items for the Fareham Basics Bank. Not an easy feat on uneven pavements, up hills and in the unseasonably warm weather but we worked as a team and completed the challenge successfully. It was a brilliant day and for such a good cause and we are already thinking about doing something similar next year. If you want to read more about what we did and the reason why then click on the link below which is the article that The News wrote about the event. 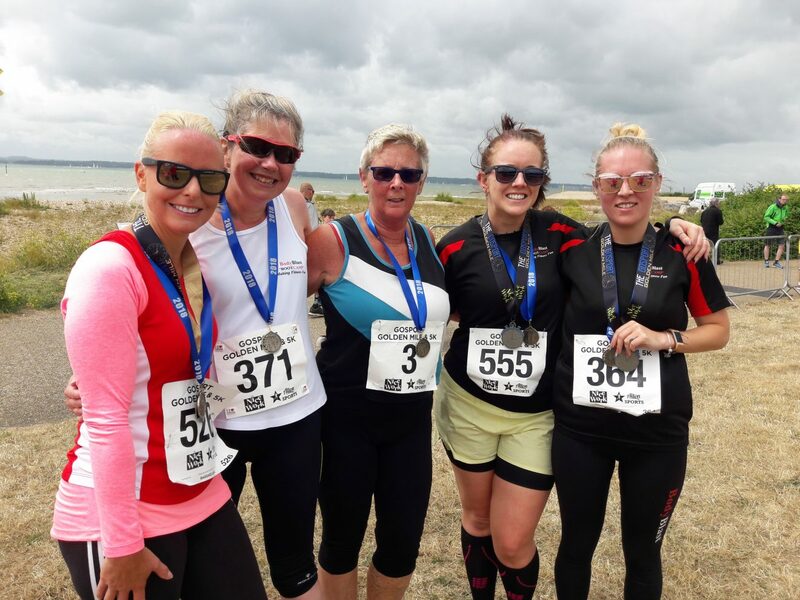 This month Sue Baddeley (pictured centre) features in our member spotlight. Sue has been coming to bootcamp since the very first Bodyblast Bootcamp session. Affectionately known by her fellow bootcampers as "Terminator Sue" (because she just keeps going) she attends 4 to 5 sessions a week and takes part in local events. Last month she completed an event of some kind every weekend. 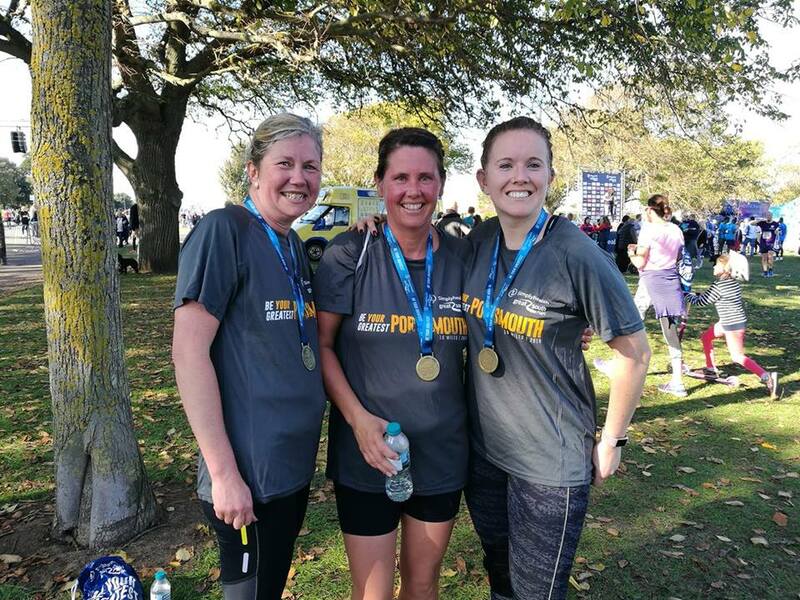 As one of our more senior members, Sue is an inspiration to others and proves that age is just a number when it comes to being active. 1. How long have you been attending Bootcamp?10 years, since the beginning of time. 4. Do you prefer summer or winter bootcamps and why? I actually like them both, as they bring different challenges with the different seasons. You do have to work harder to get out the door in Winter. 5. What motivates you to come to sessions? The meeting of people, social activity and working together, especially when things get tough. Bring a friend for a free taster session in November or December and be entered into a prize draw to win a free PT session (alternative prizes also available). 6. What is the biggest change you have noticed in yourself since coming to Bootcamp? Taking on more challenges for myself. October has been one of those times. I have done the Pieces of Eight, Twilight Wickham, Great South and the Halloween runs = 23 miles, and not including the 10 mile charity walk and the 80 miles a month with the dog = 100 miles altogether. This as well as the 'normal' BC, metafit and swimming which I do did make me wonder why I was getting tired! 7. What advice/words of wisdom would you give to somebody new to our classes? Have a go and don't give in and enjoy it. 8. Just for fun - if you were a fruit what would you be and why? A banana, because I am bananas doing some of the things I do but they are high in potassium and great quick energy top ups, plus a muffin.